The study of Soviet youth has long lagged behind the comprehensive research conducted on Western European youth culture. In an era that saw the emergence of youth movements of all sorts across Europe, the Soviet Komsomol was the first state-sponsored youth organization, in the first communist country. Born out of an autonomous youth movement that emerged in 1917, the Komsomol eventually became the last link in a chain of Soviet socializing agencies which organized the young. Based on extensive archival research and building upon recent research on Soviet youth, this book broadens our understanding of the social and political dimension of Komsomol membership during the momentous period 1917–1932. It sheds light on the complicated interchange between ideology, policy and reality in the league's evolution, highlighting the important role ordinary members played. The transformation of the country shaped Komsomol members and their league's social identity, institutional structure and social psychology, and vice versa, the organization itself became a crucial force in the dramatic changes of that time. 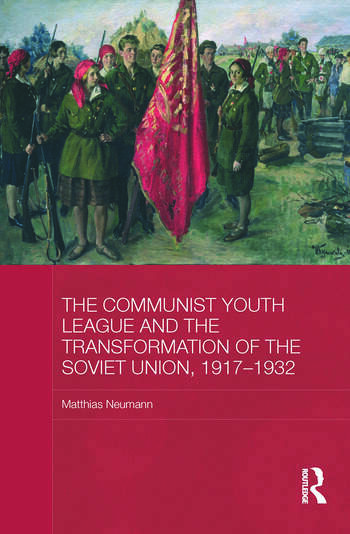 The book investigates the complex dialogue between the Communist Youth League and the regime, unravelling the intricate process that transformed the Komsomol into a mere institution for political socialization serving the regime's quest for social engineering and control. Matthias Neumann is Lecturer in Modern European History at the University of East Anglia, UK.